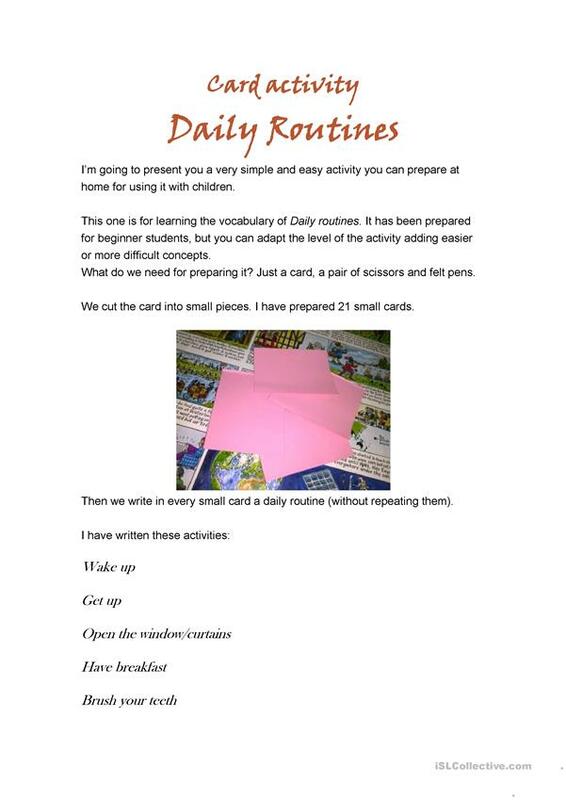 This is a very simple and easy activity you can prepare for teaching daily routines. 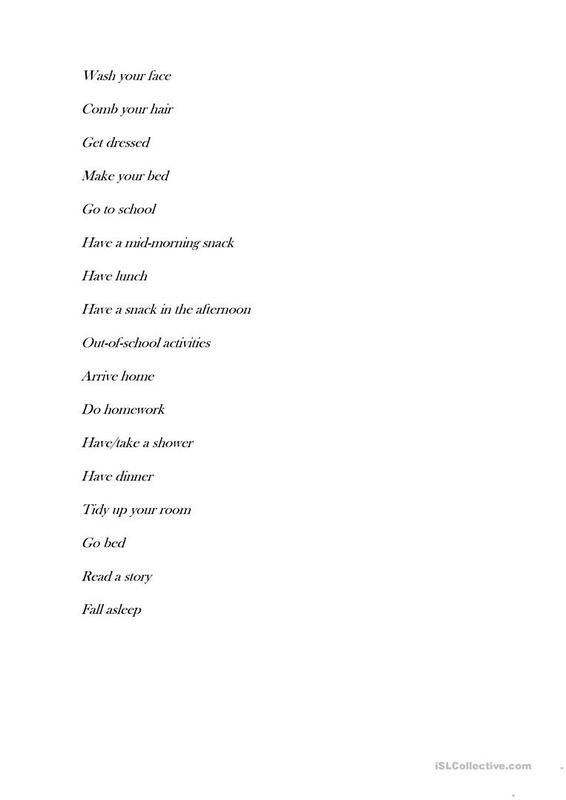 The present downloadable printable is meant for high school students and elementary school students at Pre-intermediate (A2) and Intermediate (B1) level. 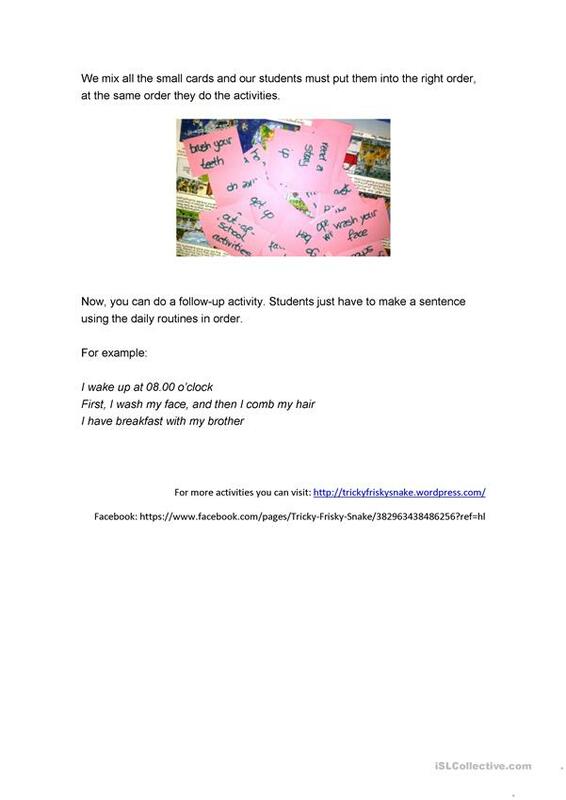 It is useful for enhancing your students' Speaking and Writing skills. It centers around the vocabulary topic of Daily routines.